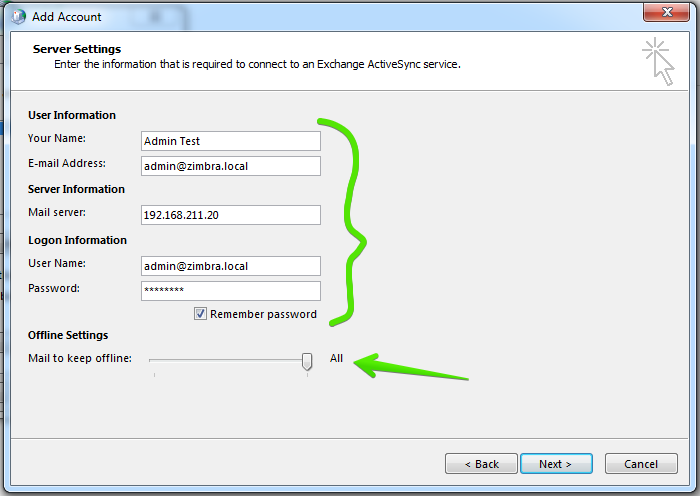 EAS (Exchange ActiveSync) was released in ZCS 8.5 and above and is a Network Edition feature. 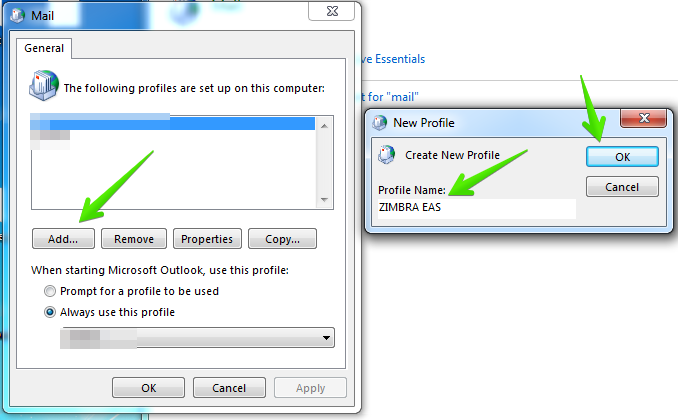 We need to be sure that we are using Microsoft Outlook 2013, in 2010, 2007, etc will not work the EAS feature. 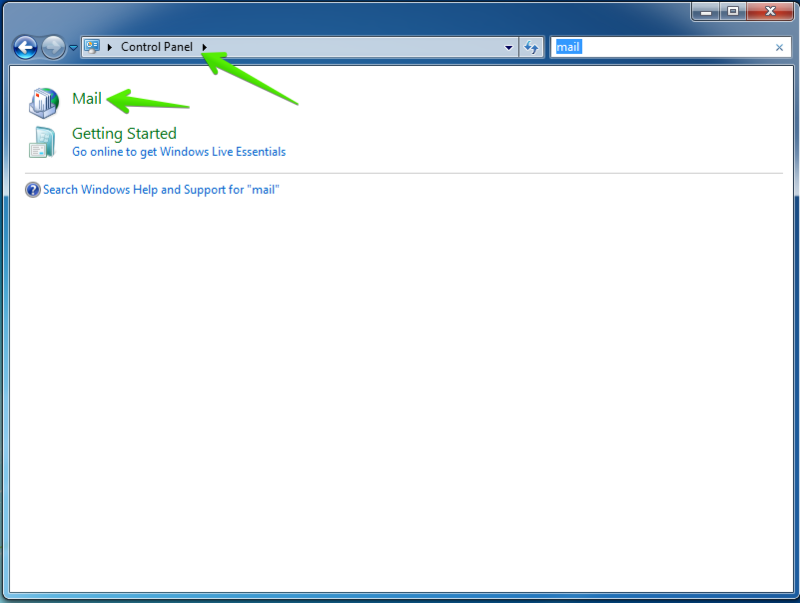 In the next Window, select the second option called "Outlook.com or Exchange ActiveSync compatible service"
In case that uses a Self-Signed certificate, and don't have the valid CA and the SSL certificate installed on the Computer, will prompt this warning. 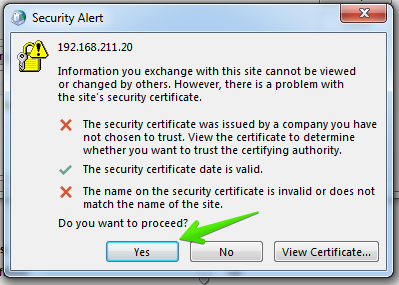 The best option is have a valid Commercial SSL certificate. 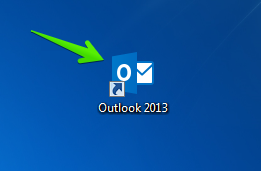 In Outlook 2013, check the number of the emails, and Folders that you have. 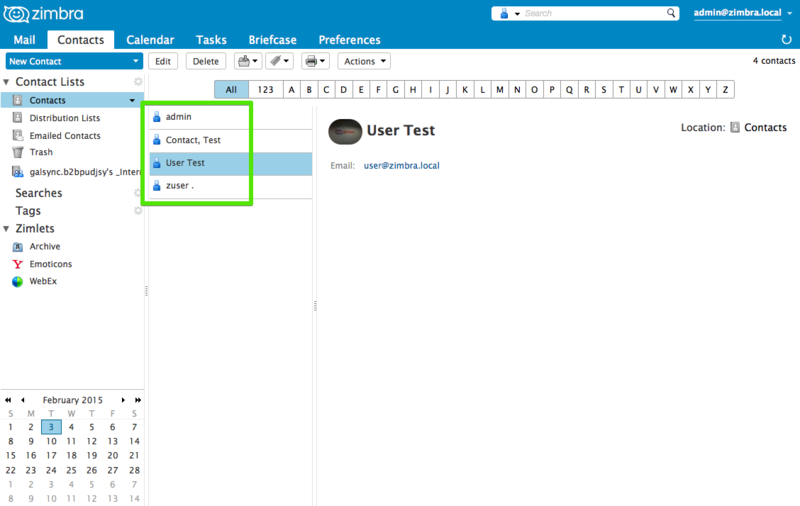 Needs to be the same like in the WebClient, all the folders hierarchy and the content of the Folders. 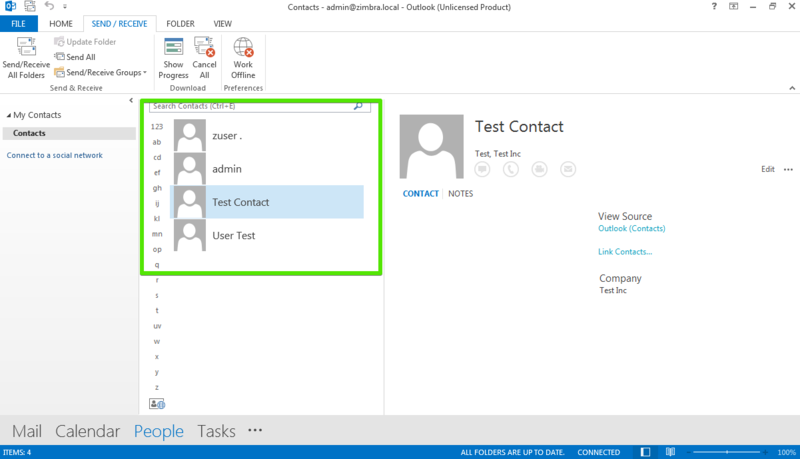 With the contacts, we will have all the Contacts synchronized between Outlook 2013 and the WebClient, here is the example of the WebClient. 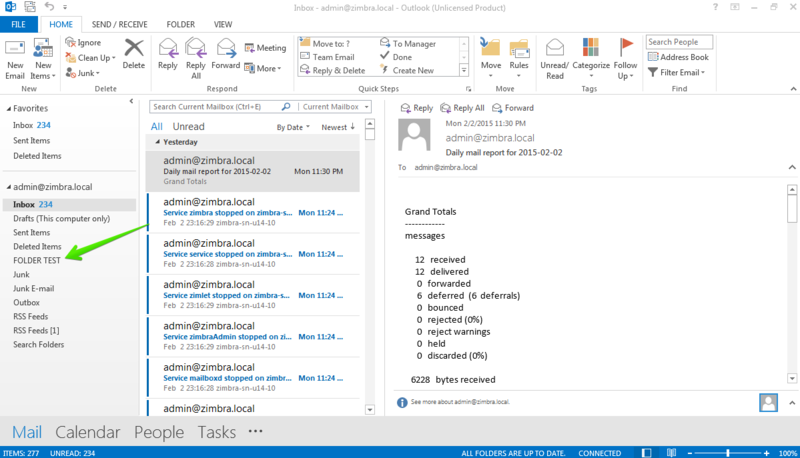 Can see and manage the Shared Items: Mail folders, Calendars, Adress Books, etc. 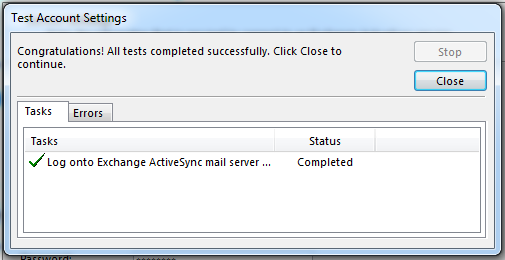 All the signatures will sync, some users have different signatures with a "template emails"
[Bug 83727] - Contacts sub-folders and Global Address List do not sync when using an Outlook 2013 Exchange ActiveSync profile. 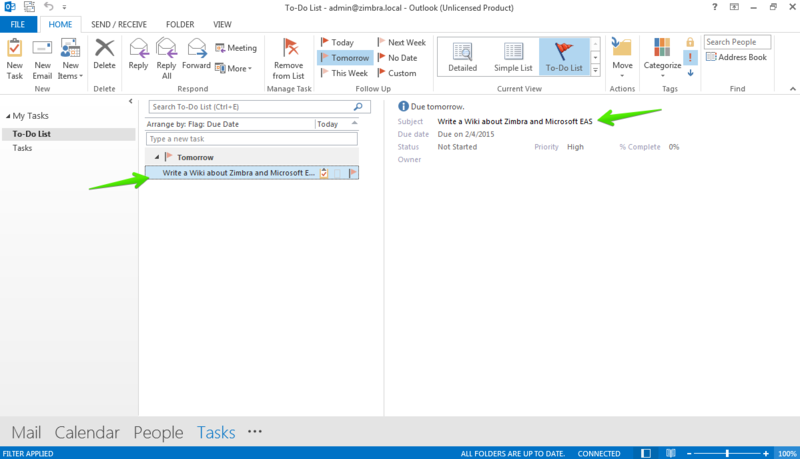 [Bug 83736] - Read receipt notifications are not received when enabled when using an Outlook 2013 Exchange ActiveSync profile. 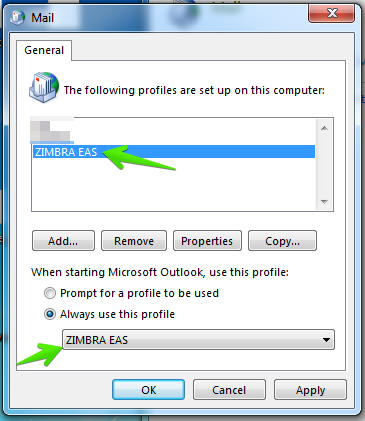 [Bug 83747] - Categories and Tags are not displaying in the Zimbra Web Client when using Outlook 2013 Exchange ActiveSync. 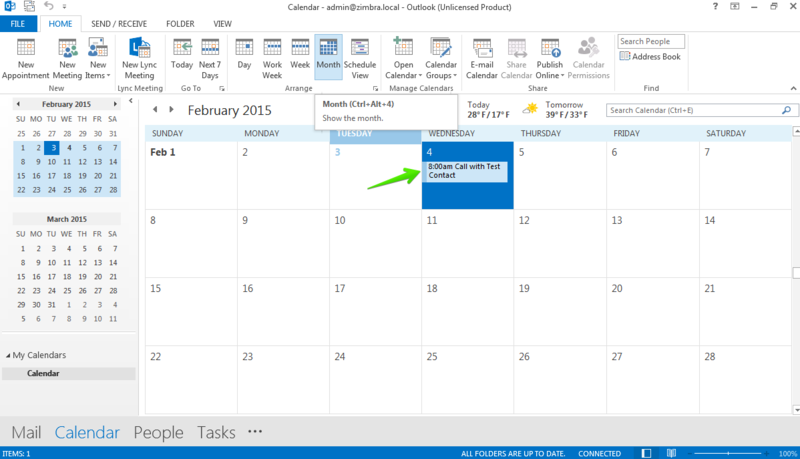 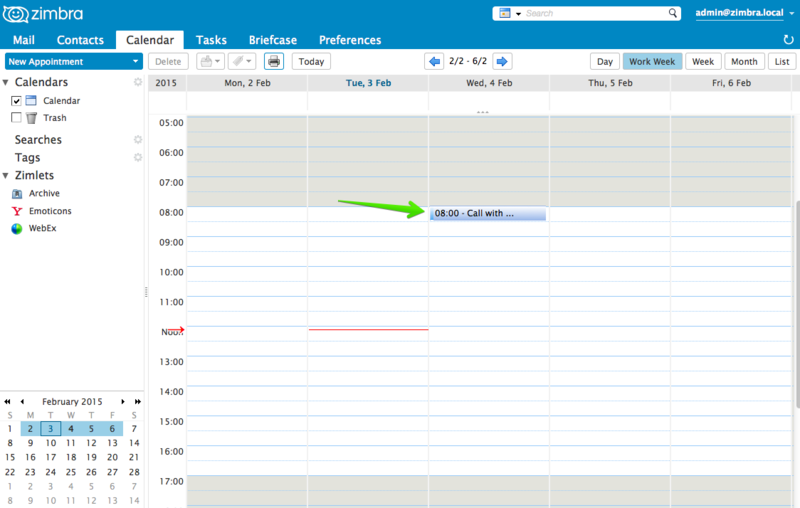 [Bug 83750] - Appointment and tasks display in HTML body format in Outlook 2013 Exchange ActiveSync. 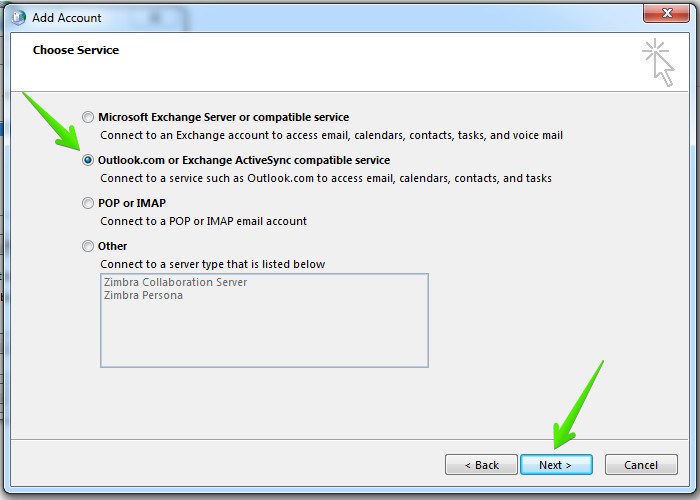 [Bug 83790] - Contact notes do not display in the Zimbra Web Client when using Outlook 2013 Exchange ActiveSync. 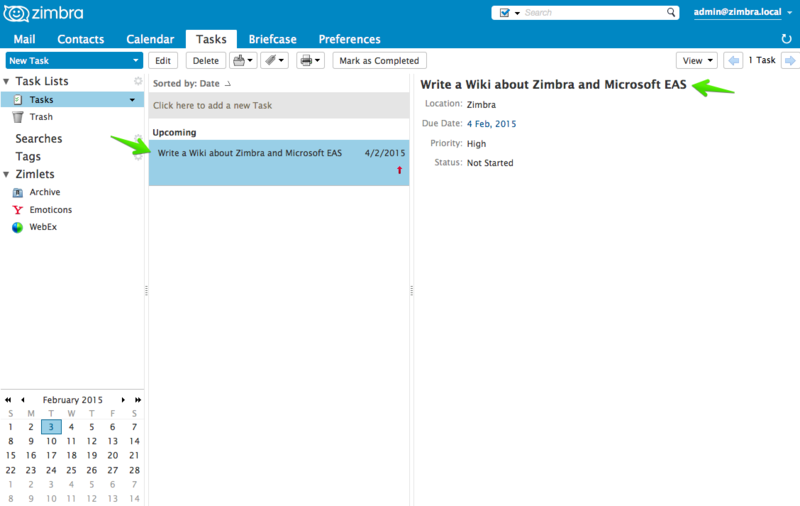 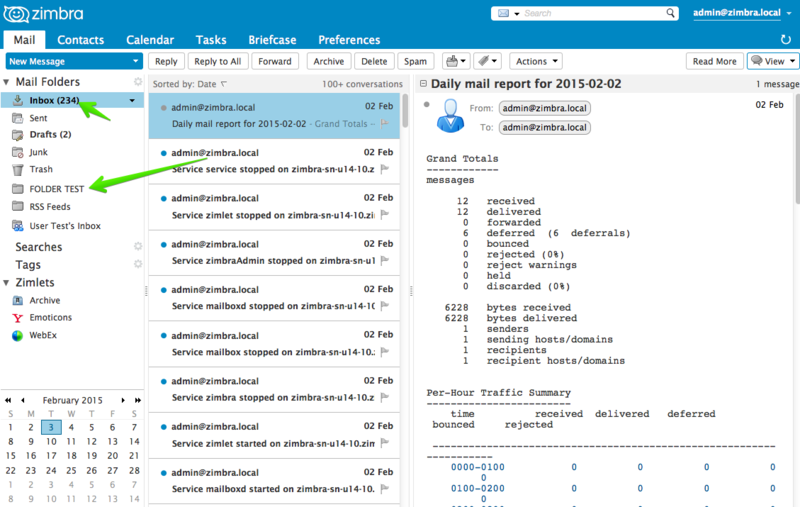 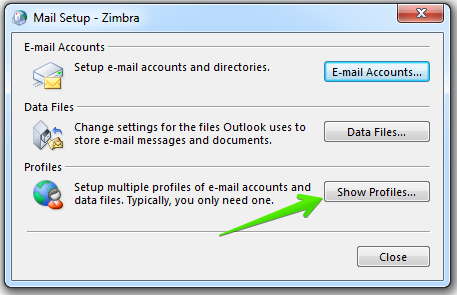 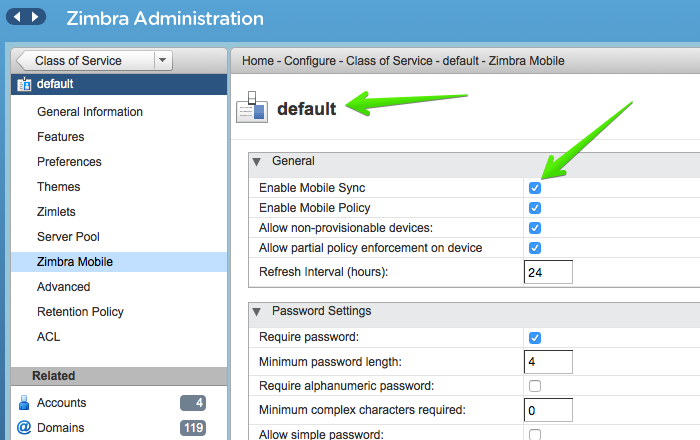 [Bug 83793] - Task reminders in the Zimbra Web Client do not sync when using Outlook 2013 Exchange ActiveSync. 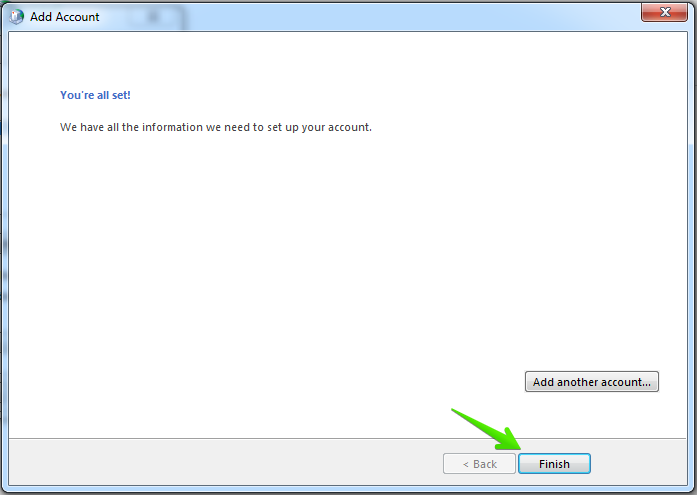 [Bug 83801] - Numerous known issues when using Outlook 2013 Exchange ActiveSync.